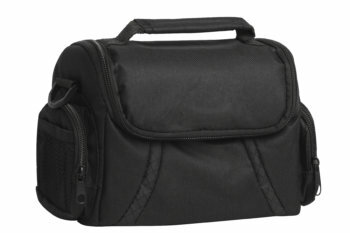 This staining kit includes microscope slides is advanced, and includes everything you need to create your own slides. 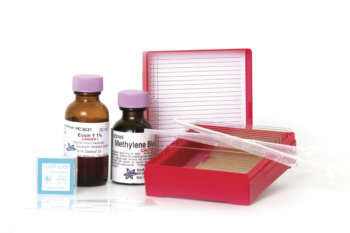 You will find: 12 plain glass slides, 2 concavity slides (single well), 100 cover slips, 2 disposable pipets, 1 plastic slide storage box for 25 slides, Cleaning Paper, 100 sheets, 1 – 4.5 ” stainless steel coverslip forcep, 1 – 30mL bottle of Eosyn Y, a general stain used to stain blood, plants, and alkaline cell parts such as cytoplasm, and 1 – 15mL bottle of Methylene Blue, a general purpose stain used to stain bacteria, blood, and acidic or protein rich cell parts including the nucleus, ribosomes, and the endoplastic reticulum. 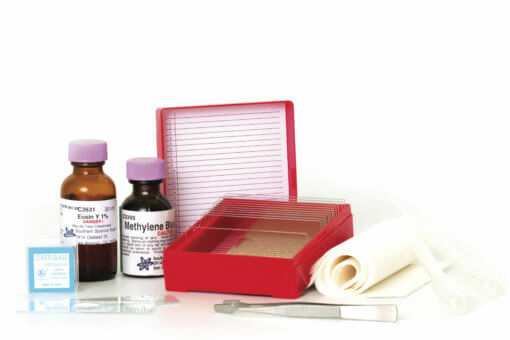 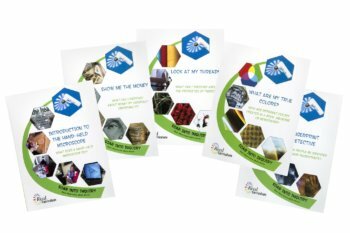 A perfect kit for preparing your own microscope slides – for all your lab needs!